A Karaoke app to make your parties even funnier! 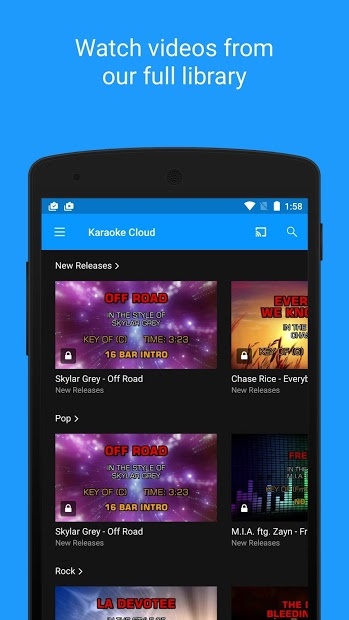 Karaoke Cloud brings you thousands of karaoke songs, streamed directly to any connected device. 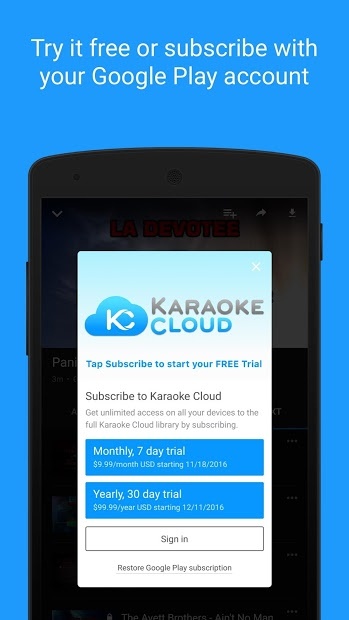 You get instant access to karaoke versions of your favorite music. New songs are added every week, so you never run out of cool songs. How it works? Just search for the song you want or browse from a great selection of rock, pop, country, R&B and blues songs. There are also nice songs for children’s, worship, holiday and Christmas. Sing as much as you want – there’s no limit and you can stream to your big-screen TV with Chromecast. Note: The app, it’s free to download. By signing in, you get a free trial access of 7 days. Anywhere also with a Chromecast device!